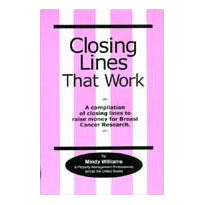 Closing Lines that Work is a compilation of closing lines from Property Management Professionals across the Country to raise money for Breast Cancer Research. 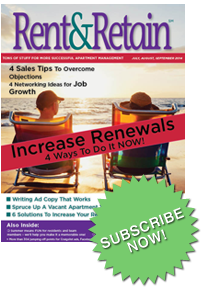 I have spent the last two years collecting closing lines from my Rent & Retain subscribers and my seminar audiences in all 50 U.S. states. 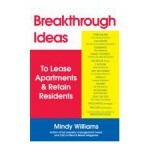 Their best closing lines and tips are in this book – nearly 800 of them! 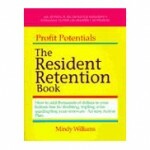 The exciting part — all profits from this book will go to Breast Cancer Research. Heartfelt thanks to everyone who helped make this book possible. 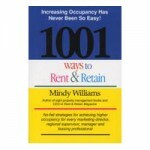 Good luck – I know this tool will help you increase your closing ratios! One closing line will SURELY fit your personality! 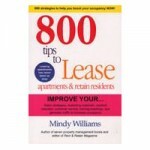 This means more money for you in bonuses as you lease more apartments! 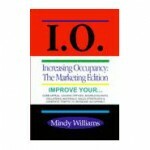 126 pages — completely filled with closing lines that can be adapted and modified for many businesses.